Navalny has built a robust protest movement in the face of persistent harassment and jumped through multiple hoops as he campaigned across the country in an effort to shift attitudes amid widespread political ennui. Moscow, Russia: Thousands of Russians on Sunday endorsed the candidacy of Alexei Navalny, seen as the only Russian opposition leader who stands a fighting chance of challenging strongman Vladimir Putin in a March vote. Thousands of people who back the charismatic 41-year-old lawyer were meeting in 20 Russian cities to nominate him as a candidate in the presence of electoral officials to boost his chances of making the presidential vote. In Moscow alone, more than 700 people supported Navalny's candidacy as they gathered in a huge tent set up in a picturesque park on the snow-covered banks of the Moscow River. "I am hugely happy, I am proud to tell you that I stand here as a candidate of the entire Russia," the plucky Western-educated lawyer told supporters at the Moscow event which at times felt like a US campaign conference. "We are ready to win and we will win these elections," Navalny said before finishing his speech in a cloud of confetti. Earlier Sunday supporters in other Russian cities also endorsed his candidacy, including more than 800 people in the southern city of Rostov-on-Don, more than 900 in the Urals city of Yekaterinburg and over 700 in Novosibirsk in Siberia, his campaign said. 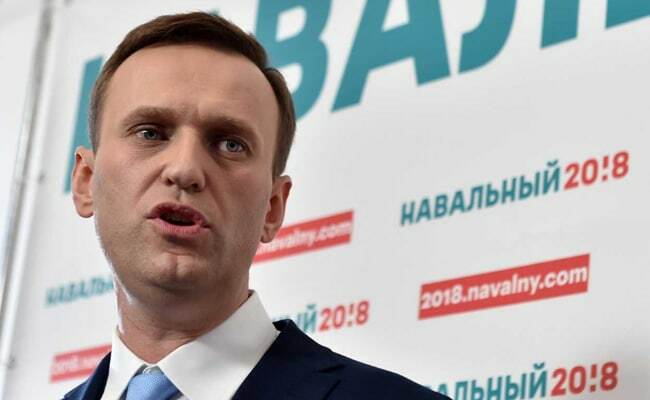 Electoral officials have deemed Navalny ineligible to run due to a criminal conviction, saying "only a miracle" would help him get registered. Navalny, who has tapped into the anger of a younger generation who grew up under Putin and yearn for change, hopes that popular support for his Kremlin bid would pressure authorities into putting his name on the ballot. An independent candidate needs at least 500 votes to get registered with election authorities, according to legislation. Navalny has said he would get at least 500 Russians in each of the 20 cities to support his candidacy to make it harder for the authorities to reject his bid. Opposed by token opposition candidates, he is widely expected to sail to victory. On Sunday, Navalny reiterated his threat to call for a boycott of the polls if he did not get registered. "Thwart the elections if they are dishonest," he said. With the result of the March vote a foregone conclusion, turnout could be low, harming Putin's hopes for a clear mandate, observers say. "If Navalny is not allowed to run I am not going to vote," pensioner Marina Kurbatskaya told AFP in Moscow. "I don't see anyone else who I want to become president." Many critics scoff at Navalny's Kremlin bid but the anti-corruption blogger says he would beat Putin in a free election if he had access to state-controlled television, the main source of news for a majority of Russians. Navalny shot to prominence as an organiser of huge anti-Putin rallies that shook Russia in 2011 and 2012 following claims of vote-rigging in parliamentary polls. The rallies gradually died down but he has been able to breathe new life into the protest movement this year, bringing out tens of thousands of mostly young protesters onto the streets. "Navalny is the only real opposition candidate," Sergei Dmitriyev, 60, told AFP in the second city of Saint Petersburg where more than a thousand supporters gathered to support Navalny's bid. "We need a new president," added Alexander Semyonov, 18. Despite a litany of problems such as corruption, poor healthcare and increasing poverty, opinion polls suggest Putin enjoys approval ratings of 80 percent. Asked why Navalny had been barred from running, Putin - who has refused to mention him by name in public -- said the opposition was hoping for a "coup" but would not succeed.